Home Film A 46-Year Delayed Aretha Franklin Documentary Finally Debuts in L.A. In January of 1972, Aretha Franklin delivered two nights of legendary live performances the New Temple Missionary Baptist Church in Watts. Those shows were recorded for what would become her top-selling album, Amazing Grace, and for a documentary film that was meant to release in conjunction with the record. That film never made it to theaters. Now, 46 years later, the public will finally be able to see the movie, starting with an AFI Fest screening on November 15. The film was dogged by problems and controversy from the very beginning. Sydney Pollack, hot off the success of They Shoot Horses, Don’t They, but with no prior experience filming a live concert, was swapped in at the last minute by Warner Bros. executives. When his team arrived at the church to shoot the concert, they forgot to bring clapboards. Rather than delay the event, footage was shot without using the markers. That decision ultimately meant that synching audio to visual using technology of the day would be nearly impossible. Before Pollack’s death in 2008, the shelved footage was passed on to producer Alan Elliott to try to compete using modern editing technology. After two years, he had a cut ready to premiere. It screened once before Franklin’s team filed a series of lawsuits blocking the documentary’s commercial release. After Franklin’s death in August, Elliott was able to work with her estate to resolve the legal matters and finally make the film available to the public. 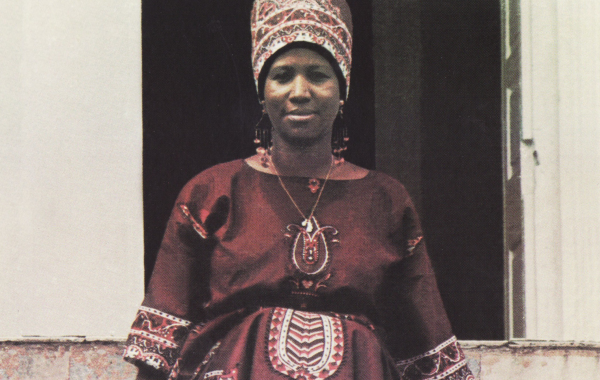 “It’s an opportunity for those individuals who had not experienced her in a gospel context to see how diverse her music is,” Franklin’s niece and estate executor, Sabrina Owens, told Variety after the Franklin family watched the final cut of Amazing Grace at a private screening in Detroit. Now with the Franklin estate’s imprimatur, the film played to the general public for the first time this week at New York City’s DOC NYC festival, and now makes a Los Angeles debut on the 15th. After the festival screenings, it is expected to play for a week-long theatrical run in both New York and L.A. so that it can qualify for 2018 awards consideration. Amazing Grace plays at 8 p.m. on November 15 at Grauman’s Chinese Theatre in conjunction with AFI Fest. Free tickets for the screening may be reserved online. Prior to Thursday’s screening, the Blackhouse Foundation, a nonprofit which is working to expand opportunities for Black content makers, will host a panel discussion.